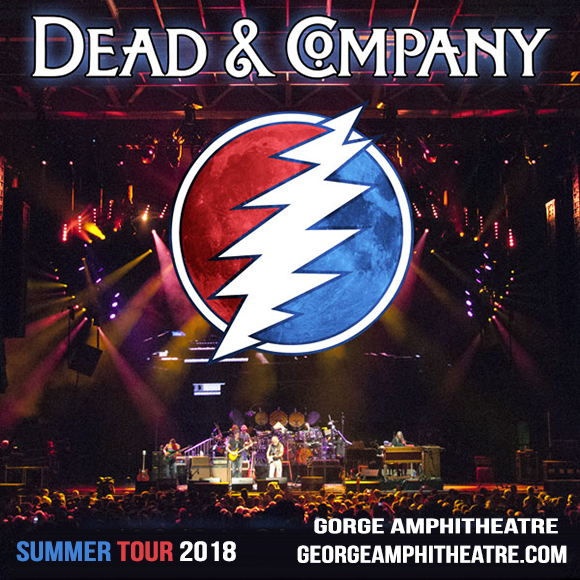 If you love Dead & Company – then whatever you do, donʼt miss out on the upcoming event as it takes place at Gorge Amphitheatre on Friday 29th June 2018! Thereʼs only one place to be, what are you waiting for?! Gorge Amphitheatre is renowned for hosting the hottest events. With their sheer love and dedication to bringing people together – Dead and Company have developed a kind of super group that is remarkably understated. John Mayer made it clear from the get go that he is so inspired by Grateful Dead's music and as he took center stage at a studio performance with Bob Weir on The Late Late Show – with three of the other original members it was the start of Dead & Company – a next chapter. Together they formed what we can now see before us! 2018 marks another incredible year for these out of the world musicians as they all join forces to bring all of the classics that you know best. There's going to be plenty of special and unforgettable moments on this summer evening so be sure that you book your tickets above and head on down for the main event.